Entra in contatto con un selezionato network di start-up e PMI, per aver accesso ad avanzate soluzioni innovative e attivare partnership con start-up e grandi aziende. Additive Manufacturing refers to a process in which digital 3D design data is used to build up a component in layers by depositing material, whether the material is plastic, metal, concrete or one day…human tissue. Advanced Robotics includes components and technologies which improve robots performances and allow them to operate in a more autonomous way and in strict contact with people. Advanced Robotics encompasses activities from both the hard (mechanical electrical design and fabrication, sensing solutions, actuation development etc.) and soft (control, computer software, human factors etc) systems areas. Artificial Intelligence is the capability of a machine to simulate intelligent human behavior. AI refers to cognitive processes, including learning (the acquisition of information and rules to use the information), reasoning and problem solving (using the rules to reach approximate or definite conclusions) and self-correction. Particular applications of AI include expert systems, speech recognition and machine vision. Big Data & Analytics technologies are techniques and tools to gather and evaluate massive amounts of data, aiming to discover among them some patterns and support the process of decision making of a company. The term itself is evolving to favor big data-capable systems. Big data analytics refers specifically to the challenge of analyzing data of massive volume, variety, and velocity. There are five types of Big Data Analytics: prescriptive, predictive, diagnostic, descriptive and outcome analytics. Blockchain is a distributed database where information are stored in a safe way. It is a network in which every node has its own role in guaranteeing the information integrity. By allowing digital information to be distributed but not copied, blockchain technology created the backbone of a new type of internet. Blockchain is a shared immutable ledger for recording the history of transactions. It combines the openness of the internet with the security of cryptography to give everyone a faster, safer way to verify key information and establish trust. Cloud computing is a method for delivering information technology (IT) services in which resources are retrieved from the Internet through web-based tools and applications, as opposed to a direct connection to a server. Rather than keeping files on a proprietary hard drive or local storage device, cloud-based storage makes it possible to save them to a remote database. Cloud computing is the idea of taking all the heavy lifting involved in crunching and processing data away from the device you carry around, or sit and work at, and moving that work to huge computer clusters far away in cyberspace. Cloud computing involves delivering hosted services over the Internet, divided into three categories: Infrastructure-as-a-Service (IaaS), Platform-as-a-Service (PaaS) and Software-as-a-Service (SaaS). Cyber Security or Information Technology Security is a pool of techniques and tools to protect the availability and integrity of networks, programs and data from attack, damage or unauthorized access. The core functionality of cybersecurity involves protecting information and systems from major cyberthreats. These cyberthreats take many forms (e.g., application attacks, malware, ransomware, phishing, exploit kits). Major areas covered in cyber security are Application Security, Information Security, Disaster recovery and Network Security. System integration can spread along two directions: horizontal, that is the integration between individual subsystems (machines, equipment or production units); vertical, which refers to the capability to go beyond traditional production hierarchy levels. 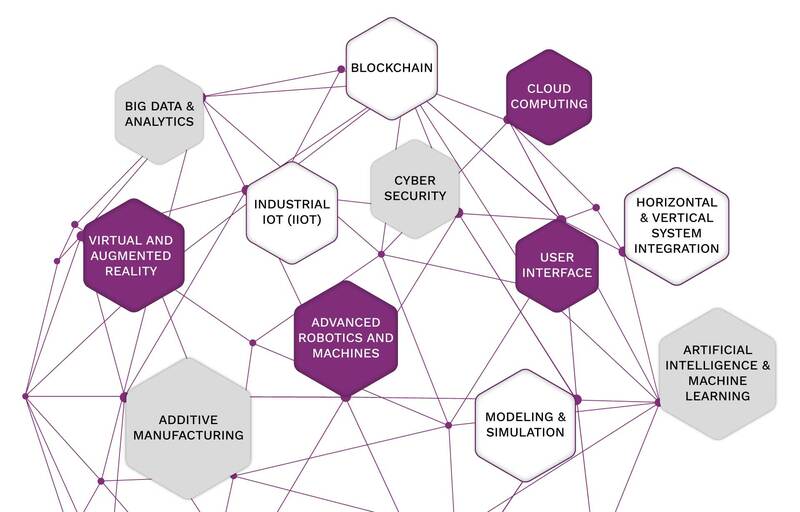 With Industry 4.0, companies, departments, functions, and capabilities will become much more cohesive, as cross-company, universal data-integration networks evolve and enable truly automative value-chains. Internet of things is the combination of two dimensions: a network of “things” and a computing system behind them. “Things” can be any electronic device with a software enabling data exchange, except a computer: headphones, cellphones, wearable devices, manufacturing sensors, home appliances, cameras, etc. IoT brings together people, process, data and things to make networked connections more relevant and valuable than ever before – turning information into actions that create new capabilities, richer experiences and unprecedented economic opportunity for businesses, individuals and countries. Modeling refers to the representation of a given system through a physical or mathematical model and it is used to simulate a product or a process. Simulations will be used more extensively to leverage real-time data and mirror the physical world in a virtual model, which can include machines, products, and humans. This will allow operators to test and optimize the machine settings for the next product in line in the virtual world before the physical changeover, thereby driving down machine setup times and increasing quality. User Interface is the set of technologies which allows the interaction between humans and machines and ensures useful feedbacks for the users. The UI interface is often talked about in conjunction with user experience (UX), which may include the aesthetic appearance of the device, response time and the content that is presented to the user within the context of the user interface. An increasing focus on creating an optimized user experience has led some to carve out careers as UI and UX experts. Virtual reality places the user inside a completely digital environment, immersing human sensing completely in a world that only exists in the digital real. Augmented Reality adds digital information and contents upon real world, taking the present real world and projecting digital imagery and sound into it. Once wearable computers become more common it won’t be strange to see people interacting with and reacting to things that aren’t there from your perspective. Thanks to technologies such as augmented reality the way we work with computing devices and think about the divide between digital and analogue reality is likely to change radically. Definiamo "Battlefronts" un'insieme di use case innovative, costruite tramite l'applicazione di soluzioni avanzate e "Battlegrounds" un gruppo di Battlefronts che rappresenta i target aziendali di incrementazione del vantaggio competitivo. Un gruppo di domain tecnologici correlati che permettono di indirizzare applicazioni simili. 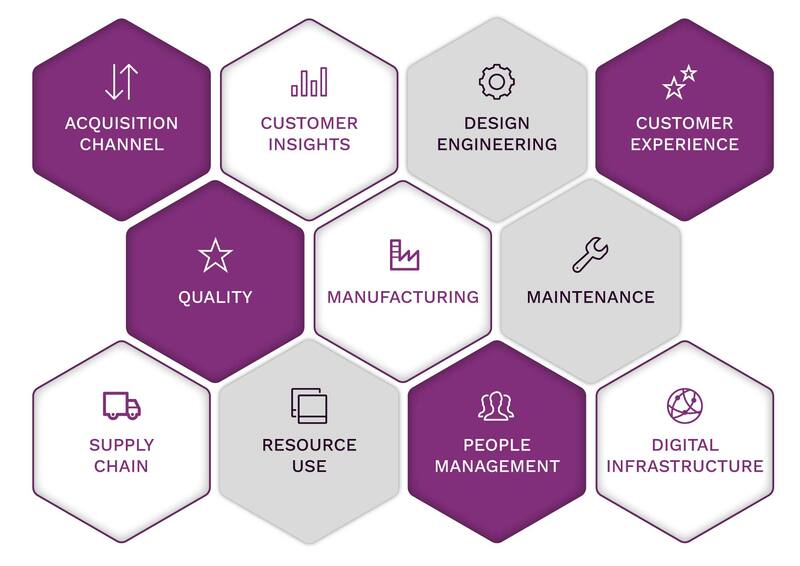 IoT brings together people, process, data and things to make networked connections more relevant and valuable than ever before - turning information into actions that create new capabilities, richer experiences and unprecedented economic opportunity for businesses, individuals and countries. 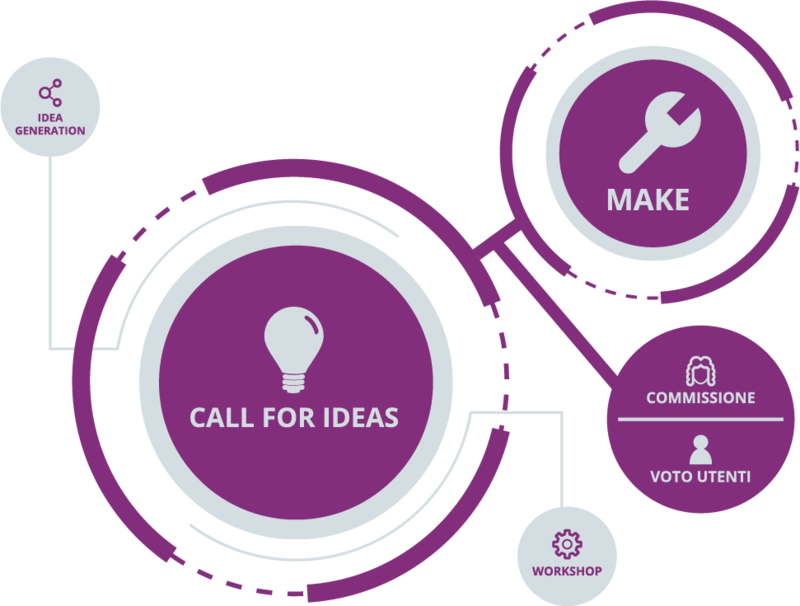 Plus è una piattaforma collaborativa che permette alle aziende di generare nuove idee attraverso Design Thinking e Open Innovation. Organizziamo eventi per start-up, aziende e la nostra Community. 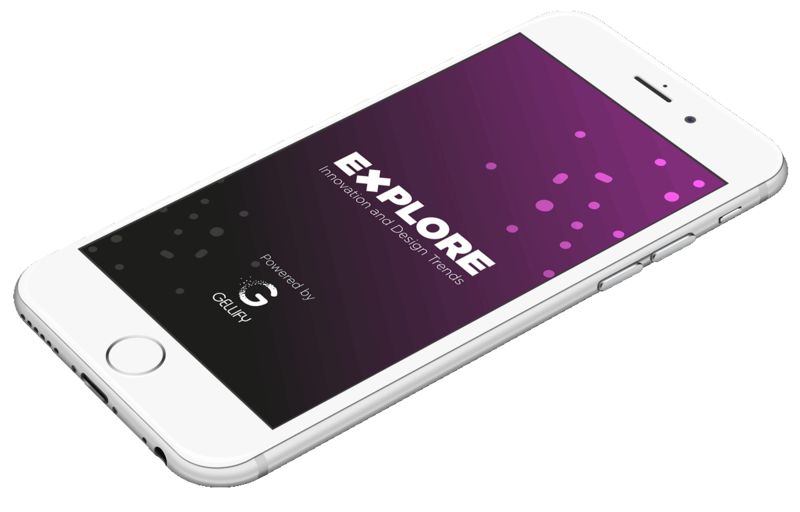 Gli Explore Talks sono i nostri eventi interattivi di ambito innovazione e nuove tecnologie. Gli speaker trasmettono le loro conoscenze e stimolano il dibattito su questi temi. Programmi formativi che trattano di tecnologie i4.0, use case e modelli di business. Percorsi ispirazionali tramite l’uso e la sperimentazione di nuove tecnologie. Attività interattive che stimolano la creazione e il design di una roadmap integrata tecnlogica. Partecipa al nostro evento annuale “Corporate Entrepreneurship” il 14 e il 15 Novembre 2019 a Milano. L’evento si focalizzerà su i trend dell’innovazione e il company building. Ci saranno imprenditori internazionali, senior decision maker e ricercatori che mostreranno come innovare nelle grandi aziende e facilitare la collaborazione tra start-up e imprese. Uno spazio fisico con tecnologie digitali. L’Hub è uno spazio di showcase di nuove tecnologie emergenti create da grandi aziende, PMI e start-up innovative, che propone use case di valore inspirati da concrete applicazioni industriali. Apriremo le porte del Phygital Hub il 12 Aprile 2019. Il principale strumento per entrare in contatto con la nostra Community innovativa e scoprire gli eventi e le ultime novità direttamente sul tuo smartphone.